The body of a third terrorist has recovered in Bamnoo area of Jammu and Kashmir's Pulwama district, amid the ongoing counter-terror operation. Earlier, two militants were neutralised in a gun battle with the security forces in Pulwama. The search operation is underway to flush the remaining terrorists out. On a specific information received, the Special Operations Group (SOG) Pulwama and 44 Rashtriya Rifles (RR) of army launched cordon and search operation in the area yesterday. In the joint operation, the security force also recovered the weapon and other warlike stores. 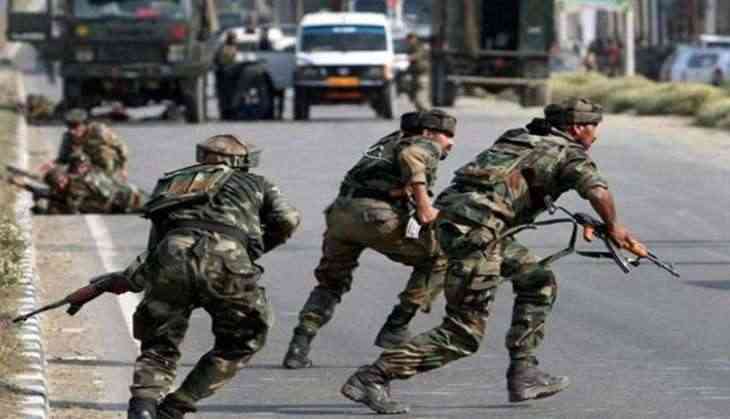 Meanwhile, in a separate operation, the security forces have begun cordon and search operation in Ajas area of Bandipora district where terrorists are suspected to be trapped.